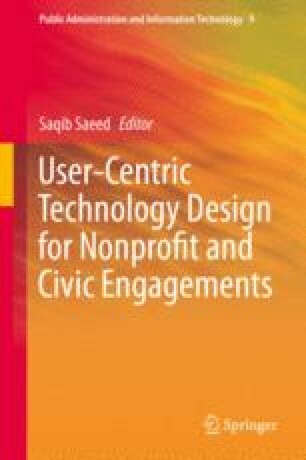 In this chapter, I argue that a focus on the design of information technologies for nonprofit organizations—or any institutional form for that matter—is too narrow a focus to support the full breadth of philanthropic activity and the full diversity of stakeholders in this domain. Instead, I challenge the research community to take up a more holistic unit of analysis, one that engages in the study and design of information and communication technologies to support any philanthropic work that is being done, in whatever context or contexts that might be. I draw from examples of previous research to make three related cases for why philanthropic informatics is a more fruitful and compelling perspective: nonprofit organizations are shapeshifters, nonprofit organizations have ill-defined boundaries, and organizational genres are increasingly blurred. From each case, I draw implications for the sociotechnical study of philanthropic work. Bureau of Labor Statistics, US Department of Labor. (2012). Volunteering in the United States—2012. Retrieved October 24, 2013, from http://www.bls.gov/news.release/pdf/volun. df. Cunnyngham, K., Sukasih, A., & Castner, L. (2013). Empirical bayes shrinkage estimates of state supplemental nutrition assistance program participation rates in 2008–2010 for all eligible people and the working poor. Retrieved October 24, 2013, from http://www.fns.usda.gov/ora/menu/Published/snap/FILES/Participation/Techpartrate2008-2010.pdf. National Center for Charitable Statistics. (1999). National taxonomy of exempt entities. Retrieved October 24, 2103, from http://nccs.urban.org/classification/NTEE.cfm. Zandi, M. (2008). A second quick boost from government could spark recovery. Testimony to the U.S. House of Representatives Committee on Small Business. Retrieved October 24, 2013, from http://www.economy.com/mark-zandi/documents/Small%20Business_7_24_08.pdf.